It’s one of the best match-ups on the slate for the opening round of the playoffs. Rockland will face-off against Cardinal Spellman on Friday, October 31st at 7 PM at Rockland’s Veterans Memorial Stadium. 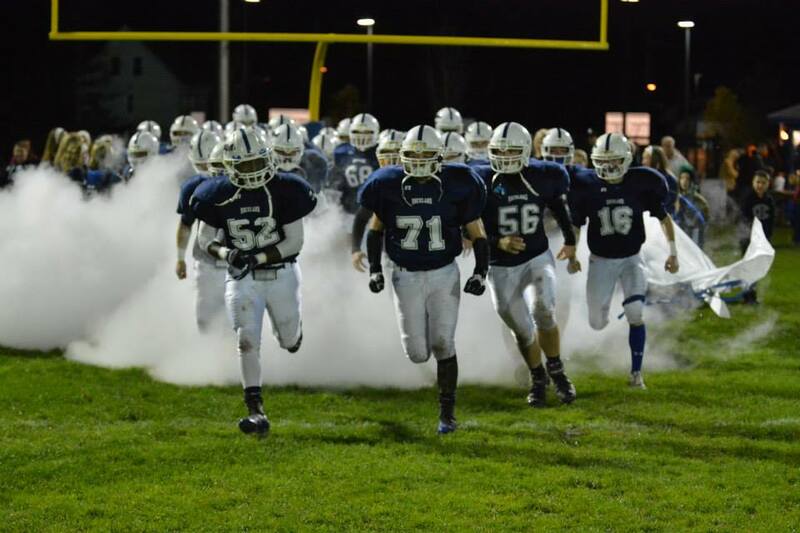 Rockland comes in to the playoffs following a 32-8 Homecoming victory over the Carver Crusaders. While the Catholic Conference is competitive, the South Shore League Large School Division may be the most competitive league in all of Division 5. With Rockland the #3 seed in the South with a 5-2 record, the only two teams seeded higher are East Bridgewater (1) and Abington (2), both of whom play in the same division as the Bulldogs. The Cardinal Spellman Cardinals stand at 3-3 going into the playoffs, including a 2-2 record in the tough Catholic Conference. Three years removed from their most recent Super Bowl appearance, long-time head coach Ron St. George leads his Cardinals to the postseason for the fifth consecutive year. Senior Matt Anastasi has rushed for over 3,000 yards in his illustrious career in the old-school style of St. George. Even with proven game manager Mike Reale at quarterback, Spellman wears down opponents with a heavy ground game led by Anastasi and paved by star linemen John Edward Sagun and James Belton. The ground game will be the biggest factor in Spellman’s game. Anastasi has been compared to the likes of East Bridgewater’s Jared Vargas and Abington’s Shawn Donovan, both of whom had multi-TD games against the Bulldogs. The winner of this game will go on to play the winner of the Abington/Dover Sherborn game next weekend. 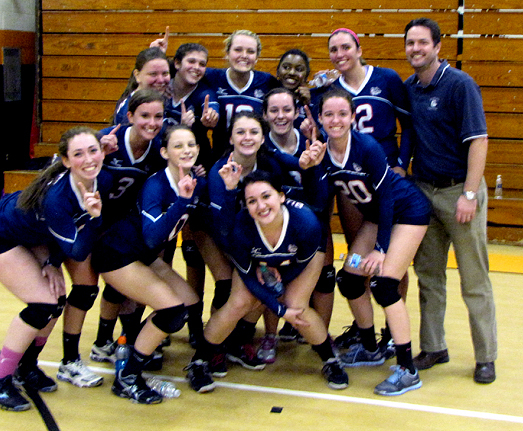 The girls volleyball team begins tournament play tonight against Bristol County Aggie. The girls volleyball team will travel to Dighton tonight to take on Bristol County Aggie in a first round tournament game. Rockland with a record of 11-7 is seeded 11th in the Division 3 South tournament. Bristol is seeded 6th with a record of 13-5. Coach Craig Johnson is optimistic about the girls’ chances despite Rockland’s 4-5 road record this season. Against common opponents, Randolph and South Shore VoTech, Rockland is 4-0 while Bristol is 3-1. Johnson says in tournament “it’s one game at a time” and he feels the girls are ready to play. Good luck to the girls volleyball team. 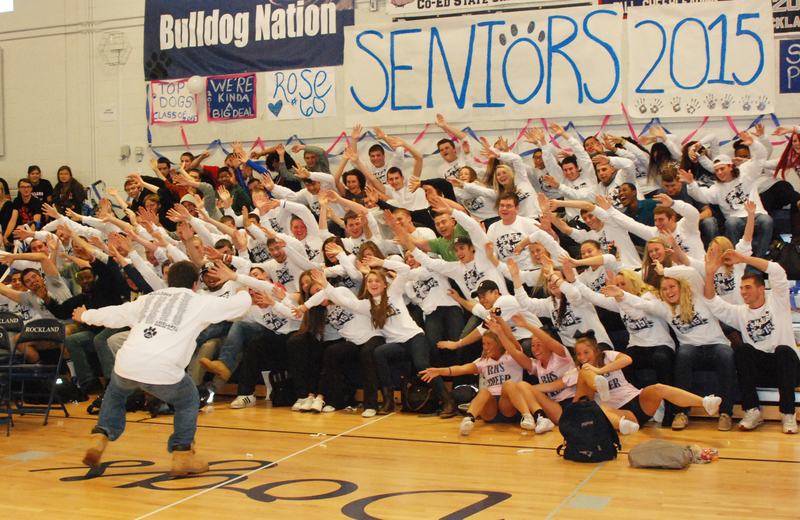 Scenes from last Thursday’s Homecoming Rally were captured by Brian Cohen of the Journalism class and members of the Digital Media Class. After you watch the video you may click on the following link for the Photo Gallery from the rally. “If you have [a] sense of what you want to do, follow your passion,” says Joel Benjamin, a Boston fashion photographer who spoke at the 2014 Teen Talk: Fashion 101 panel. 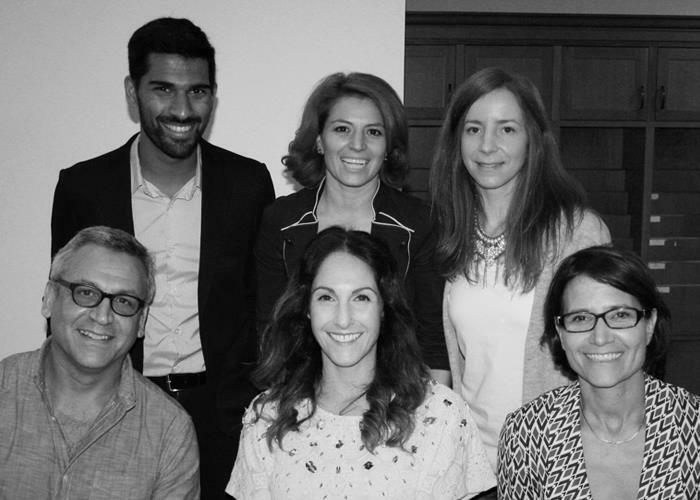 The panel, facilitated by Jay Calderin, the founder and director of Boston Fashion Week, was held on Oct. 11 at the Boston Public Library. Benjamin, Calderin, and other industry leaders gathered to inform teens of what it takes to make it in the world of fashion. Tatiana Tejedor, Designer, and Co-owner of Caramelo Clothing Co.
Each of the panelists has ties to Boston, bringing an understanding of the local fashion and business scenes. This understanding made their stories even more relevant to their audience. Amarasiriwardena got his start in the fashion industry at a young age. He described stories of looking at athletic equipment at the sporting goods store REI. He realized that the equipment and items were pricey and set out to make some of his own. He and his friends experimented with trash bags and used skiing trips as test drives for their designs. “This was a hobby throughout most of high school,” he said. After studying at MIT and the Sports Technology Institute, Amarasiriwardena set out to solve a problem that he had noticed. With this in mind, Amarasiriwardena and his business partners created Ministry of Supply, a Boston based company designed to merge performance wear and fashion. Amarasiriwardena continues to keep the Ministry of Supply business located in Boston – you can visit their shop on 299 Newbury Street, Boston, MA – because of the culture. “I think Boston is a great place to start a business,” he says. His advice for those looking to start a career in fashion? This was a common theme throughout the panel. Benjamin’s success as a fashion photographer came at a crucial time in his life. Desimone, a graduate of the School of Fashion Design, and the current Assistant Head of Wardrobe for the famous Cirque du Soleil, also spoke on the panel. “I grew up drawing sketches in notebooks,” but she did not believe she could make a career out of her passion. Desimone received a degree in Marketing and International Business from Fairfield University and has held other jobs in the world of fashion such as a buyer for Filene’s Basement and a manager at Neiman Marcus. At Cirque de Soleil Desimone is responsible for making fashionable garments that the performers can move and function in. She cites language barriers as one of very few struggles she finds with her job. Currently, she is doing her best to learn the languages of the performers in order to better accommodate their needs when it comes to their costumes. Other than that Desimone is quite pleased with what she gets to do for a living. Desimone advises budding fashionistas to show their face and stay humble in their fields. Radsken, fashion writer for the Boston Globe, like most, struggled a bit with finding herself towards the beginning of her career. “I couldn’t really figure out how to find my voice,” she says. Once she found her groove Radsken immersed herself into her work. She explained that her job is to translate stories involving luxurious clothing and fashion to audiences that may not be able to relate to such expensive designs. Radsken explained to the audience that details will set them apart and that they must be able to present themselves. Rasken was able to talk about the industry in a different light than the other panelists. She explained that in order to be talked about in the media by journalists such as herself designers, business owners, and others must be willing to set themselves apart from the rest. Stokalska, a jewelry designer, who’s work was featured on the television show The Carrie Diaries, discussed the importance of organization and planning. She sets goals for herself and researches how they can be achieved. On Friday night Oct. 24, RHS senior Brianna Starkey was crowned Ms. Rockland at half-time of the Homecoming game. Starkey was one of six senior girls nominated for the honor who also included: Nicole Cook, Katie DeLorey, Kara Penney, Alex Pigeon, and Danielle Whitcher. Congratulations to all the nominees and to Ms. Rockland, Brianna Starkey. On Thursday night, Oct. 23, five seniors competed for the title of Mr. Rockland: Pearse McNally, Leshon Crawford, Andrew Frazer, Eddie Yeadon and Chris Landy. 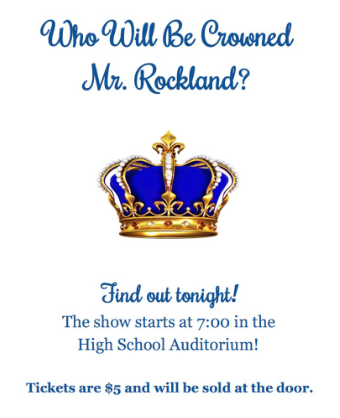 Judges Mr. Fred Damon, Ms. Amanda McDonough and Ms. Samantha Hoyo chose Chris Landy as the new Mr. Rockland. Photos of the event were taken by PJ Butler.